Initially there was some debate about scooters being legal on the public road; then questions about the possible dangers of relatively fast scooters mixing with bikes on the cycle lanes and pedestrians on footpaths and, more recently, complaints about scooters blocking footpaths when they are left at the end of the hire. Now, in one national paper, comes a more interesting controversy. The scooters are promoted as not just enabling people to get around easily and quickly and independently but that, powered by batteries, they are ecological good … if you assume that someone abandons a car journey and goes by scooter … before abandoning the scooter. The problem seems to be that the scooters, or at least the first ones, were designed for use indoors and were for individuals so presumably that means not built for continuous or frequent use and not designed for, shall we say, robust use, rented out. The average life for one of these scooters is said to be between 60 and 90 days so, when taking into account the manufacturing costs of materials and energy and so on, then that is hardly a sustainable 'wheel' print. To be fair, much of the problem is with the user rather than the scooter. Properly regulated and used sensibly these could provide one solution for getting from metro and suburban train hubs into and around the city and do actually take up less space than a bike when parked properly … it will be interesting to see how this works out but at the moment it is looking more and more likely that the politicians will act first and bring in a ban. Sankt Kjelds Plads is in a densely built area of older apartment buildings about 4 kilometres directly north from the city hall. The area has a distinct urban character with relatively wide streets but little planting and not just on street parking but also fairly heavy through traffic. From the air you can see that most of the large apartment blocks have extremely pleasant courtyards with planting but the real problem for this area is that climate change has meant occasional but very destructive flooding from sudden rain storms with the street drainage unable to deal with surface water on the streets and with rain running off the roofs of the large buildings. The solution has been to put in fast flowing storm drains, surface channels to take water away to tanks or sumps where it can be controlled, and, where necessary, filtered and then released into the drainage system but at an appropriate rate … these sudden storms may last for only an hour but in that time there can be a depth of 30 centimetres of water across the road, stopping traffic, flooding basements and ground-floor apartments and businesses and taking road level pollution through the drains and to the harbour and the sound. Along with the hard landscaping of drains and surface gullies - the other solution is extensive planting that absorbs rainfall - apart from the most severe storms - and adds considerably to the amenity value of the street scape. Here at Sankt Kjelds Plads, seven roads converge at what was a very large traffic round-a-bout. That was planted with shrubs and trees but certainly it was not a place to sit. In fact with the traffic it was not a place where many people even cut across. With the current scheme, small areas of pavement in front of the buildings have been pulled forward and the traffic discouraged and the round-a-bout reduced significantly in size. The new areas are densely planted and have pathways curving through them with seats and with sunken areas that will flood when there are storms to act as holding tanks but have planting that will cope. This links through with the climate change landscaping of Tåsinge Plads about 85 metres away to the east and the main north south road through Sankt Kjelds Plads - Bryggervangen - is also being planted to form a green corridor from the large park - Fælledparken - to the south through to an open area and pond to the north beyond Kildevældskirke. 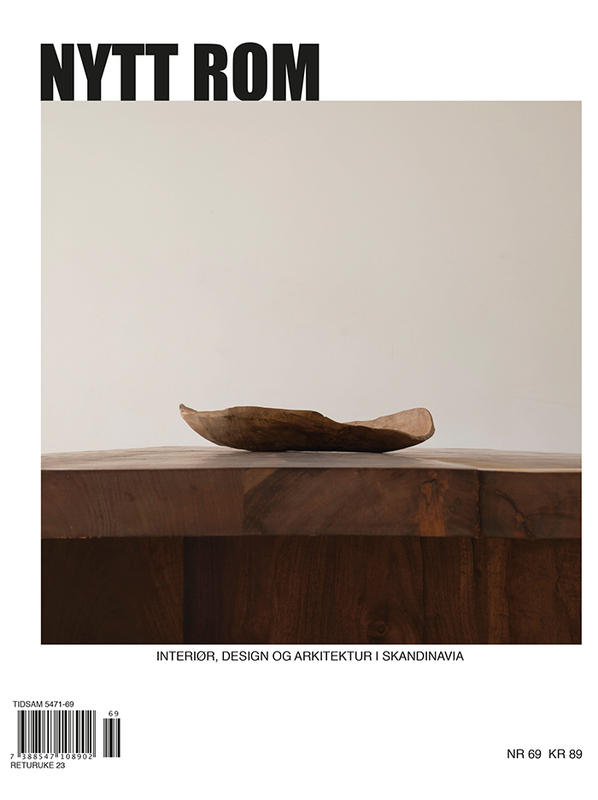 Nytt Rom 69 - the Electric Issue is out.